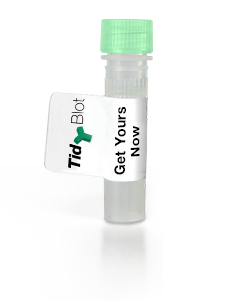 Be one of the first 30 ASCB attendees to claim your free TidyBlot Reagent vial. To redeem your free 50 µl TidyBlot Reagent, please place a TidyBlot Reagent (STAR209PT) order through our website and enter offer code TIDYBLOT at the checkout. Alternatively, you can place your order offline through our customer services department or via your purchasing agent mentioning this offer code. 30 free vials (50 µl) are available on a first come first served basis so place your order now to claim yours! As an ASCB attendees, you can also benefit from 20% off our full range of phospho-antibodies.